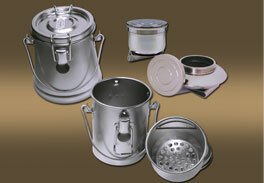 See Our Latest Items on Special! 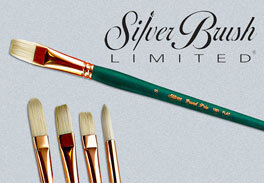 We are proud to offer some of the finest brushes, painting knives and accessories available - Silver Brush's 100% curved Chunking white hog bristle Grand Prix® brushes, Holbein and Cheson® painting knives and Holbein® Brush Washers.Select the desired product group from the chart below or scroll down the page. Select the desired product group from the column on the right. Check the box for the size you would like and enter the quantity desired in the Qty field. Hit ENTER or select "Add to Cart" at the bottom of the page. This will take you to your Shopping Cart where you can modify your order, checkout or return to the Online Store for additional items. 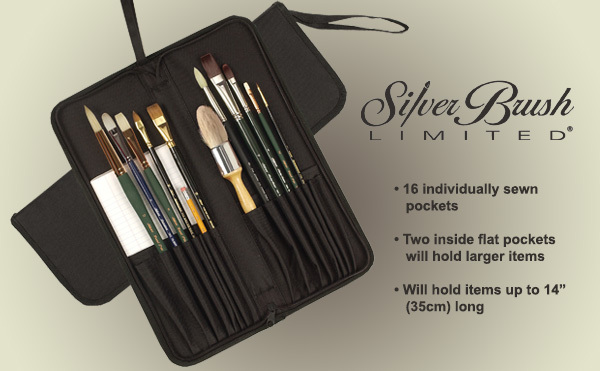 Silver Brush Limited Grand Prix® Brushes - These brushes are made of 100% curved Chunking white hog bristle that is remarkably resilient and durable. They are ideal for use with both oils and acrylics, and promise to offer durability and maximum pigment carrying capacity. 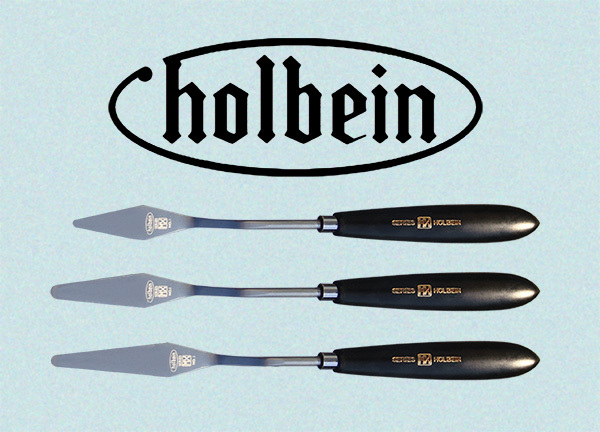 Holbein® Painting Knives, or "steel brushes", are made with the same techniques used for centuries. They offer the artist a soft, delicate touch in the creation of unique surfaces. 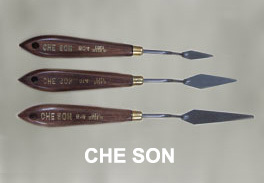 CHE SON® painting knives are an affordable alternative for impasto painting, mixing colors, or scraping paint. 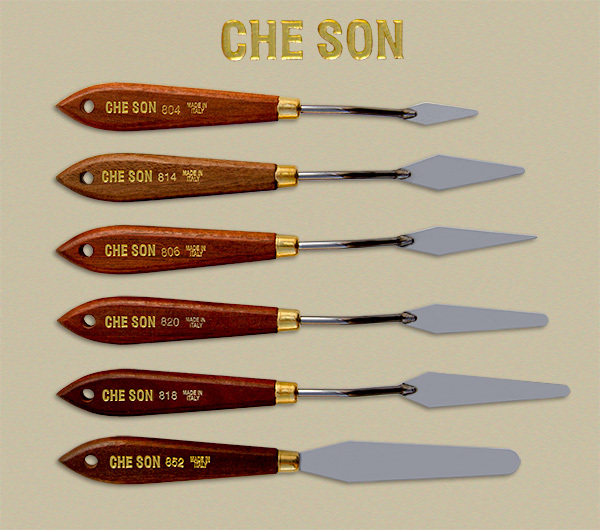 Hand forged by the same family for more than 100 years, the trowel-­shaped steel blades are beautifully set in a polished rosewood handle. 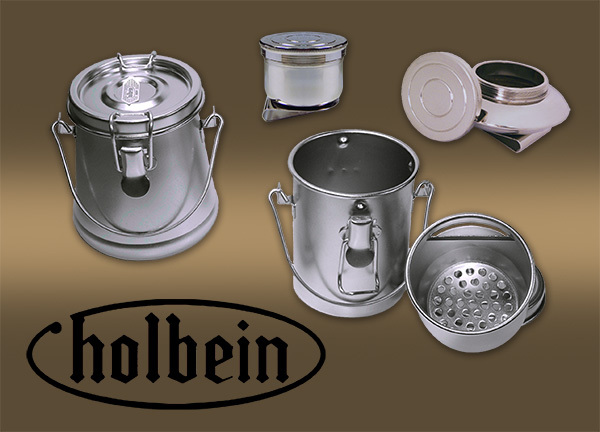 Holbein® Palette Cups are made from seamless, nickeled brass. 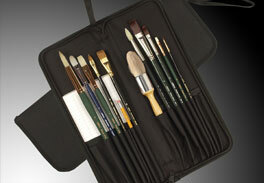 They have a rubber seal with a screw-on cap, and conveniently clamp on to a palette. Click on the image when you see this icon for more information or enhanced image(s) of the product. 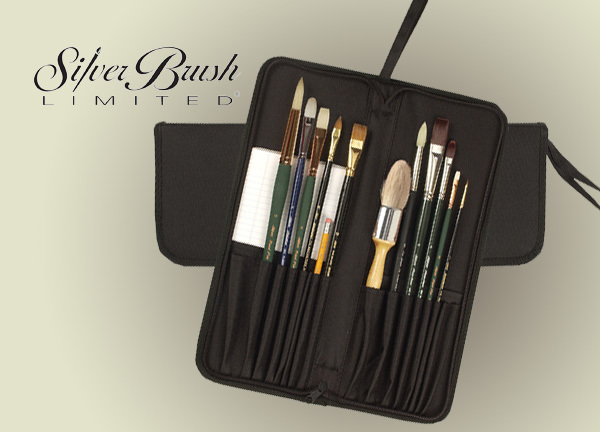 Silver Brush Limited® - Tuscany Brush Case is a lightweight brush case with a deluxe nylon zipper closure all around, and it's made of strong 600 Denier nylon fabric with stiffener and padded front and back. Wrist handle and individually sewn pockets make this a handy necessity. 5 3/4" X 16". 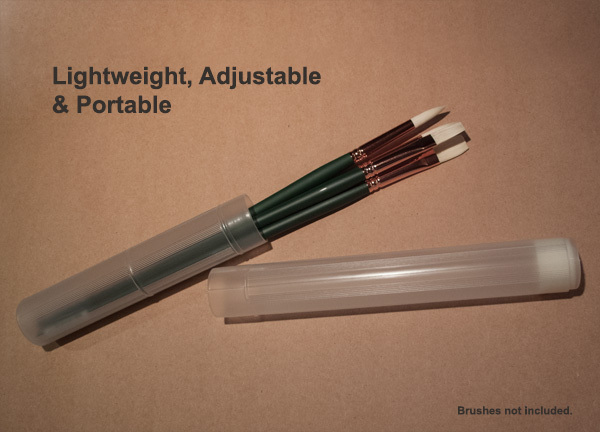 Lightweight Brush Carrier - We think you will find this lightweight, translucent tubing provides great protection for your brushes. Telescoping designs allows for different sizes to fit comfortably. 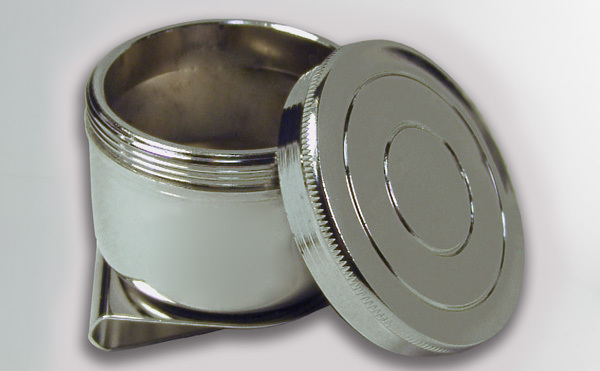 It can be adjusted from 9" to 14".1" in diameter, 14" in (max) length.